LONDON, (Reuters) - Royal Dutch Shell (RDSa.L: Quote) said on Thursday its Nigerian Bonny Light crude oil production had resumed on August 21 after repairs to flowstations. A Shell spokesman said the force majeure on Bonny Light exports, which took effect from August 16, was still in place. Shell said it discovered damage to oil facilities leading to the Bonny export terminal on August 11. The outage to production followed a series of sabotage attacks to oil facilities. Trade sources had said the damage had taken around 100,000 barrels per day of crude output offline. Shell does not comment on the amount of production lost when there are outages. Shell warned last week of a rise in acts of sabotage on its crude oil pipelines in Nigeria's southern Niger Delta in recent weeks. Oil giant Royal Dutch Shell has said acts of sabotage are increasing in southern Nigeria. The Anglo-Dutch company said it had suffered at least three separate incidents of sabotage on its pipelines in the Niger Delta this month. In a statement, Shell said it had put containment booms into surrounding waterways to stop the flow of oil. Thieves known as bunkerers often try to pierce the pipes to siphon off oil and sell it on. Shell official Babs Omotowa said thieves had drilled holes or used hacksaws to pierce pipelines in the Cawthorne Channel leading to the terminal at Bonny in Rivers State. "The environmental and social cost of widespread sabotage is simply unacceptable," he said. The Niger Delta is a vast network of mangrove creeks that make up one of the world's largest wetlands. Shell said it had set up containment booms to stop crude oil flowing further into the mangrove swamps. 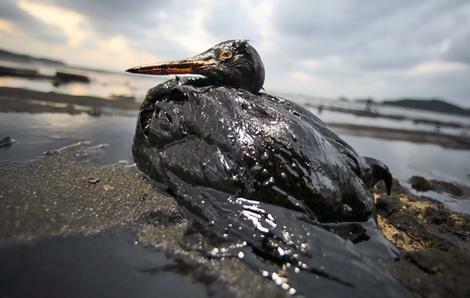 Poor communities in the Delta have suffered decades of environmental pollution from oil spills. Militants have also carried out repeated attacks against oil installations and pipelines. Shell says it paid $4m (£2.6m) in compensation last year related to oil spills in Nigeria. LONDON,(Reuters) - Exports of Nigeria's Qua Iboe BFO-QUA crude oil were set to increase in October, loading programmes showed, in a sign that production of the country's benchmark grade has recovered after an outage earlier this year. The force majeure was lifted this month and the latest loading schedules suggest that output was back to levels reached before the leak, trade sources said. Qua Iboe exports were expected to average around 398,000 barrels per day (bpd) in October, up from around 363,000 bpd planned for September, loading programmes showed. There were 13 Qua Iboe cargoes of 950,000 barrels each due to be loaded in October. Output schedules for two of Nigeria's other crude streams also emerged on Monday with Bonga exports due to rise to 189,000 bpd in October, up from the 158,000 bpd due in September. LAGOS — US oil giant ExxonMobil said Wednesday it had resumed oil deliveries from Nigeria after cleaning up a spill from an offshore platform in the country's oil-rich south. "Mobil Producing Nigeria, operator of the Nigerian National Petroleum Corporation (NNPC)/MPN joint venture) today confirms that it has lifted the force majeure it declared on May 12, 2010," the company said in a statement. The US company declared the force majeure -- a legal clause allowing producers to miss contracted deliveries because of circumstances beyond their control -- following a leak on a key pipeline in southern Akwa Ibom State on May 1. "We express gratitude to all customers, purchasers and joint venture partner, the NNPC, for their understanding during the production outage," the statement said. Environment Minister John Odey met with with ExxonMobil top management in in June and ordered the company to clean the spill. "ExxonMobil needs to show more caution in terms of the management of oil spills," Odey had told reporters after the meeting. 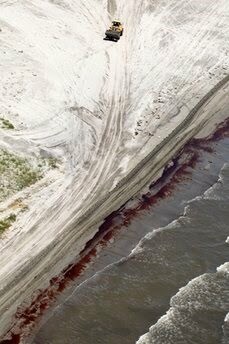 "We are concerned about the operation of ExxonMobil because once it is offshore, any spillage will, of course, affect the shorelines and it could go far beyond the area of operation," he added. ExxonMobil is Nigeria's major oil operators, often accused by militant groups and rights campaigners of causing environmental degradation and destruction of the local communities' ecosystem. NEW DELHI/LONDON (Reuters) - Indian Oil Corp. (IOC) bought 4 million barrels of Nigerian crude oil in its second tender for October or late-September loading sweet crude, trade sources said on Friday. India's largest state-run refiner bought one very large crude carrier (VLCC) comprising 1 million barrels each of Nigerian Forcados and Escravos grades from oil trader Vitol, the sources said. 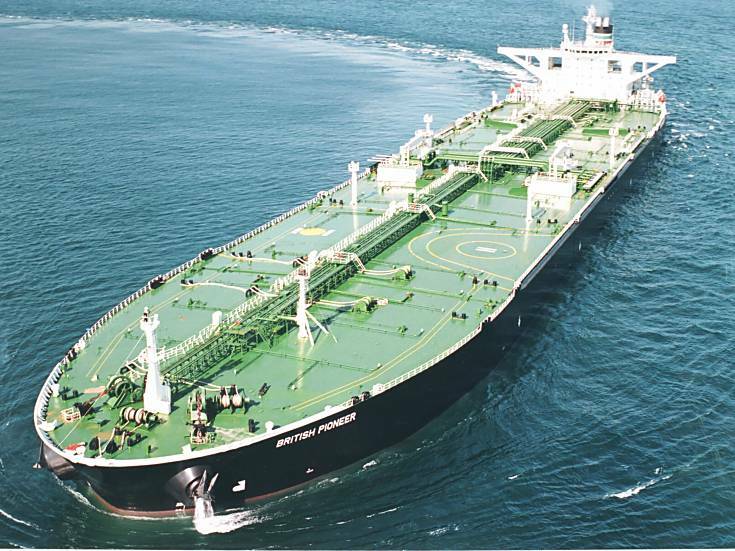 IOC also bought a VLCC to be filled with 2 million barrels of Nigeria's benchmark Bonny Light from oil major Shell. Traders said these were likely to be cargoes loading in October, although Shell has an end-month September Bonny Light cargo which it may use to meet its commitment to IOC. IOC issued its third tender to buy October loading crude on Thursday with grade offers due by August 17 and price offers the following day. Both will remain valid until August 19. IOC is India's largest state-run refiner and owns 10 plants in the country with a current combined capacity of 1.2 million barrels per day. LONDON, Aug. 6 /PRNewswire/ -- Platts – The 12-member Organization of the Petroleum Exporting Countries' (OPEC) crude oil production output averaged 29.22 million barrels per day (b/d) in July, up 100,000 b/d from an estimated 29.12 million b/d in June, according to a just-released Platts survey of OPEC and oil industry officials and analysts. Excluding Iraq, which does not participate in OPEC output agreements, the 11 members bound by quotas (OPEC-11) under a target of 24.845 million b/d boosted output by 80,000 b/d to 26.82 million b/d for the month, the survey showed. This exceeded the OPEC-11 target by 1.975 million b/d and puts the group's compliance rate at 53%, with the 4.2 million-barrel-per-day production cuts agreed to in late 2008 (and effective as of January 2009). "It's true that the world oil market generally consumes more oil in the second half of the year than the first, but an increase in OPEC supply at this time may be adding to a market balance that the member countries may find troublesome in a few months," said John Kingston, Platts global director of news. "Even with the price of oil topping $80 per barrel, there are currently signs of weakness and excess supply showing up in different parts of the market." Volume increases totalling 200,000 b/d from Nigeria, Saudi Arabia, the United Arab Emirates (UAE), Venezuela and Iraq were partly offset by 100,000 b/d of decreases from Angola and Iran. Nigeria showed the biggest single increase, boosting output by 110,000 b/d to 2.12 million b/d, according to the survey. Angola's output dropped by 90,000 b/d to 1.75 million b/d. For production numbers by country, view this table (you may be prompted for a cost-free one-time-only log in registration). Platts OPEC and oil experts are available for media interviews; please consult Platts Media Center to schedule an interview. For other oil, energy and related information, visit Platts online at www.platts.com. About Platts: Platts, a division of The McGraw-Hill Companies (NYSE: MHP), is a leading global provider of energy and commodities information. With a century of business experience, Platts serves customers across more than 150 countries. An independent provider, Platts serves the oil, natural gas, electricity, emissions, nuclear power, coal, petrochemical, shipping, and metals markets from 17 offices worldwide. Platts' real-time news, pricing, analytical services and conferences help markets operate with transparency and efficiency. Traders, risk managers, analysts, and industry leaders depend upon Platts to help them make better trading and investment decisions. Additional information is available at http://www.platts.com. Founded in 1888, The McGraw-Hill Companies (NYSE: MHP) is a global information and education company providing knowledge, insights and analysis in the financial, education and business information sectors through leading brands including Standard & Poor's, McGraw-Hill Education, Platts, and J.D. Power and Associates. The Corporation has more than 280 offices in 40 countries. Sales in 2009 were $5.95 billion. Additional information is available at http://www.mcgraw-hill.com/. The weekly average prices of the Organization of Petroleum Exporting Countries (OPEC) kept rising for four consecutive weeks, reaching $78.24 per barrel last week, the Vienna-based cartel said Monday. In the first week of July this year, OPEC weekly average oil price has dropped to $70.63 a barrel, following a persistent increase to 72.93, 73.43, and $74.01 in the second, third and fourth week respectively. In the first week of August this year, OPEC weekly average oil price rose by $4.23 to $78.24 per barrel, showing the highest level since the first week of May this year. Over the past month, the OPEC oil price showed an upward trend with fluctuation, which had the lowest daily price of $69.05 per barrel and highest level of $78.88. To a certain extent, this trend also reflected that, on the one hand the market was encouraged by the prospects of economic recovery. On the other hand, however, the international oil market was also suppressed by weak economic figures of the major oil consuming countries. The economic figures of the US particularly have obvious impact on the global crude oil market. Last Friday, the figures released by the Labor Department showed that the U.S. unemployment rate in July remained at a high level of 9.5 percent, which aroused concerns on prospects of the U.S. economic recovery once again, leading to a further weakening of international oil prices. For a period of time in the future, a series of disappointing macroeconomic figures of the U.S. and other major oil consumers would gradually show their negative impacts, resulting in an increase in concerns on future global economic recovery. Therefore, the international oil price is likely to be suppressed. Without other incentives, the international oil price would possibly even have a downward trend with fluctuation. In addition, the experts also generally agreed that, despite of the undeniable global economic recovery, it would take some time until the achievement of real recovery and its process remains slow and repeating, which means, it would be limited demand growth in international crude oil. The recent sanctions against Iran hammered out by the US and like-minded countries targeting energy and banking sectors have become more blatantly farcical when China resumed oil trade with Iran even after the embargo came into effect. Desperate moves by Tehran to forge ties with China, the second largest oil consumer, indicate that the latter would be in a position to fish in troubled waters in the absence of competition from energy-starved nations following sanctions. Iran's Oil Minister Massoud Mirkazemi met the Chinese vice Premier Li Keqiang in Beijing last week, and agreed on enhancing relations between the two nations, especially in the oil and gas sector. Li Keqiang is reported to have told the visiting Iranian oil minister that Beijing would maintain co-operation with Tehran on existing projects. It should be recalled that last month, the Deputy Oil Minister Hossein Noghrekar Shirazi told the state-run Mehr news agency the Chinese companies were already involved in energy exploration and production projects in Iran worth about $29bn, and in refining and related activities at about $10bn. Interestingly, some reports say that even Russia is not far behind China in cashing in on Iran embargo. Rajab Safarov, head of the Iran Commission of the Moscow Chamber of Commerce and Industry informed Russian companies were discussing "serious deliveries" to Iran in late August or September. The US and the EU had made repeated requests to China and Russia to comprehensively honor sanctions against Iran. However, despite approval to sanctions both countries have differences on the scale of punitive measures slapped on nuclear interests of Iran. "Sanctions are not considered an effective tool... and they will only complicate the situation" was the reaction from foreign ministry spokesman Ramin Mehmanparast last month as quoted by the state news agency IRNA. Likewise, Mirkazemi has also told at that point "European oil companies has no presence (in Iran's energy sector) and so they cannot have any impact on us", in a response to the EU's recent oil sanctions. If China and Russia continue trade with Iran, sanctions not only become meaningless but also jeopardize business prospects of other countries, including that of India which has massive ongoing and some in the pipeline oil trade deals with Iran. Bloomberg reported sanctions were forcing refiners such as India's Reliance Industries to pay higher costs to ship gasoline to more distant markets. According to Simpson, Spence & Young Ltd., the world's second-largest shipbroker, India to the US shipping costs, at $1.9mn, are almost five times higher than those to the Persian Gulf. "It's boom time for Russian and Chinese oil traders," said Michael Swangard, a London-based international trade lawyer at Clyde & Co., which counts BP and Lloyds of London among its clients. It's "practically impossible" for Europeans to buy Iran's oil or sell it, he said. According to Chinese customs data, in the first half of 2010, Iran held its place as China's third biggest supplier of crude with shipments of 9mn tons of oil, putting it behind Saudi Arabia and Angola. Why the Middle Kingdom isn’t really taking over the world. The rise of China is, as we all know by now, the definitive economic and political story of our time. Every week a new book title announces an “irresistible” tilt east, the emergence of “Chimerica” and a not-too-distant future when China “rules” the planet. The mainstream media, and especially the business press, are gripped by the narrative of China taking over the world—every other headline in the Financial Times and The Wall Street Journal has a China focus. But the coverage of China’s global inroads has been profoundly short on context, particularly when it comes to how China is—and is not—surpassing the U.S. as a global power. There are plenty of stories of a Chinese-sponsored infrastructure project or a Chinese company cutting a deal to feed its “insatiable thirst” for raw materials, while Western involvement of similar or greater magnitude is lucky to make a headline at all. Meanwhile, a close look at the key economic metrics and the subtler shades of power, such as cultural influence and humanitarian aid, reveals that while China is indeed one of the great powers in the world now (late last month it officially overtook Japan as the world’s second-largest economy), its influence is mixed, and often undercut by America’s. Perhaps nowhere is this more apparent than in Africa, where China has been depicted as the shrewd winner of a neocolonial scramble for resources, offering developmental assistance—mainly in the form of low-priced manufactured goods, infrastructure investment, and soft loans—all proffered with no pesky Western-style demands to respect human rights. In exchange, China gets access to raw materials to fuel its economic boom. No doubt China’s presence on the continent has expanded considerably in recent years. 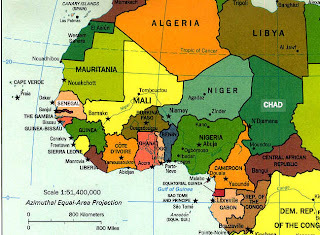 But the U.S. remains sub-Saharan Africa’s largest trading partner, accounting for 15 percent of Africa’s total trade versus 10 percent for the Chinese (it’s also worth noting that Africa has been a low trading priority for the U.S., accounting for a mere 2 percent of its global trade). Indeed, the bulk of China-Africa trade is made up of Chinese oil imports from five countries, and even with respect to oil—said to be at the heart of China’s drive on the continent—America holds a sizable lead. China imports 17 percent of all African oil compared with 29 percent for the U.S. (and 35 percent for Europe). Western companies are the leading foreign partners in oil projects in Nigeria, which is sub-Saharan Africa’s largest oil producer, and in the continent’s largest emerging oil producers such as Ghana and Uganda. This trend may well continue, in part because of allegations of corruption and shoddy execution in a number of Chinese energy and infrastructure projects throughout Africa. An $8 billion Chinese-sponsored road and mine project in Congo, deemed the “Marshall Plan of Africa” when it was unveiled a couple of years ago, has been tainted by allegations of corruption and poor implementation, as has a massive Chinese-funded fiber-optic project in Uganda. A recent study from the African Labor Research Network, called “Chinese Investments in Africa: A Labour Perspective,” looked at labor conditions at Chinese companies in 10 African countries and found them “among the worst employers everywhere,” according to the report’s author, Herbert Jauch. Disenchantment with the Middle Kingdom is particularly strong in Angola and Nigeria, which a few years ago were both tilting China’s way, lured by the promise of soft, unconditional development loans and noninterference in domestic politics. Two-way trade between China and Nigeria doubled to $7 billion between 2006 and 2008 (though still dwarfed by $42 billion with the U.S. in 2008). Yet Nigeria’s late president Umaru Yar’Adua ended up canceling a number of the projects due to scandals and delays. Washington has been quietly capitalizing; according to the U.S. Department of Commerce, exports to Nigeria have risen 48 percent and imports (consisting predominantly of oil) by 16 percent this year alone. The situation is the same in Angola, where Angolan Rafael Marques de Morais, founder of Maka, which monitors corruption in the country, says, “Corruption and a lack of accountability on China-Angola deals have undermined a more sustainable and long-term relationship between the two countries.” He points to the General Hospital built by Chinese contractors in Luanda, the capital’s first new hospital since independence, which “four years after its inauguration is basically collapsing.” In July patients and staff were evacuated due to safety concerns. Once again, Washington moved to exploit disenchantment with Beijing, meeting with Angolan officials in June to discuss ways to deepen and diversify trade, and pushing a newly signed IMF agreement of understanding that may lead to fresh loans from Western banks. This underscores America’s deeper and more diversified engagement not only with Africa, but many other parts of the world, via international institutions as well as humanitarian aid and military assistance. Despite high-profile ties with Zimbabwe and Sudan, China has little military presence in Africa and almost none in Latin America, and is still overshadowed by the U.S. even within its own backyard. Last month in Hanoi, for instance, the U.S. was a welcome presence at the ASEAN Regional Forum, Asia’s largest security meeting, amid growing concerns about China’s military buildup and its claims to the disputed Paracel and Spratly islands, which are also claimed in part by Taiwan, Vietnam, Brunei, Malaysia, and the Philippines. Obama plans to invite ASEAN leaders to a second U.S. ASEAN meeting in the fall, and ASEAN foreign ministers have invited the U.S. to a regional dialogue, known as the East Asia Summit, which diplomats reportedly said would help counter Chinese influence in the region. Washington recently boosted humanitarian and military aid to Laos and Cambodia and removed them from a trade blacklist, which should attract more U.S. investment. And in July Vietnam’s Deputy Prime Minister Pham Gia Khiem said America and Vietnam are “leaving the past behind” as they strengthen commercial and military ties. Their two-way trade leapt from $2.91 billion in 2002 to $15.4 billion last year. The U.S. has made similar progress with Indonesia, signing an agreement in April that will allow greater American capital flows into Southeast Asia’s largest economy. Of course, Asia is still the one region in the world where China now dominates regional trade—overall trade between China and the rest of the continent hit $231 billion versus the U.S.’s $178 billion in 2008. But most of the flows are in intermediary goods of low value (China buys cheap components and raw materials from poorer nations and uses them to make products for export, just as it supplies the same to richer nations like South Korea). This trade does not foster the skills transfer that Southeast Asian countries so desperately need in their bid to move up the technology ladder. Countries such as Malaysia, Singapore, Vietnam, Thailand, and Indonesia still rely on entrepreneurial, technological, and educational engagement with the U.S. for that. And America still accounts for a far greater chunk of regional foreign direct investment—8.5 percent versus China’s 3.8 percent, or $3.4 billion to $1.5 billion, in 2009. Experts such as Elizabeth Economy, director of Asia studies for the Council on Foreign Relations, believe that the moves toward closer U.S. political, economic, and security cooperation in Southeast Asia will continue. “There’s no intention of wasting the opportunity,” she says. In other places where China is increasingly prominent economically, such as Latin America, the U.S. still has important cards to play as well. Last year China replaced the U.S. as Brazil’s leading trading partner, and it’s now the second-largest trading partner in Venezuela, Chile, Peru, Costa Rica, and Argentina. But while Asia’s overall trade with the region (driven largely by China) rose 96 percent over the past decade, the U.S. saw an even greater rise—118 percent—in total trade. And according to Shanghai’s SinoLatin Capital, China’s accumulated investment in Latin America by the close of 2008 was a mere $12 billion—or less than the state of Michigan invests in the region, according to China Economic Review. What’s more, the U.S. still tends to be the country to call when there is trouble. Consider the terrorist bombings in Kampala, Uganda, that left more than 85 people dead this summer. President Yoweri Museveni had been trading barbs with Washington prior to the incident about the pace of democratic reforms in his country. Museveni had also been tightening relations with China. But after the bombings, he swiftly turned not to Beijing but to Washington for assistance, and received $24 million in manpower and technical resources. This sort of effort, particularly when contrasted with China’s recent political bumbles in Africa and elsewhere (for example, its growing reputation for shoddy construction work in Africa; its South China Sea squabbles with its Asian neighbors), makes America look good and underscores the opportunity for it to better play the myriad cards it has at its disposal—cultural, military, scientific, and economic. Many of these were underutilized or misused during its two decades as the world’s lone superpower. To the extent that China’s rise forces America’s nimble reengagement with the world, the effect may be win-win. Crude oil fell for a third day as forecasts that the U.S. lost more jobs last month fanned concern that fuel demand will lag behind supplies. Futures in New York fell as much as 0.5 percent before a government report that may show a drop of 65,000 jobs in July. Crude may also retreat next week, a Bloomberg survey of analysts showed, reversing a 3.7 percent gain in the past five days. “Inventories worldwide are at very high levels, and the demand recovery seems to be relatively weak in industrialized countries,” said Eugen Weinberg, head of commodity research at Commerzbank AG in Frankfurt. Oil for September delivery traded for $81.75 a barrel, 26 cents lower in electronic trading on the New York Mercantile Exchange as of 12:56 p.m. London time. Brent crude for September settlement on the London-based ICE Futures Europe exchange traded for $81.01, down 60 cents. Futures in New York, up almost 4 percent this week, are 14 percent higher than a year ago. Twenty-eight of 46 analysts, or 61 percent, forecast crude oil will decline through Aug. 13. It was the most bearish result since July 2009. Twelve respondents, or 26 percent, predicted that futures will increase and six saw little change. Last week 42 percent of analysts forecast a drop. The Stoxx Europe 600 Index rose 0.4 percent to 262.6 as of 12:52 p.m. in London. The gauge has rallied 3.1 percent this week as better-than-estimated results from companies such as HSBC Holdings Plc and BNP Paribas SA boosted optimism that the economy will continue to grow. An Energy Department report Aug. 4 showed crude supplies in the U.S. Midwest surged to a record. Stockpiles at Cushing, Oklahoma, the delivery point for New York futures contracts based on West Texas crude, climbed 1.8 percent to 37.8 million barrels, leaving inventories less than 1 percent below the all- time high set in May. 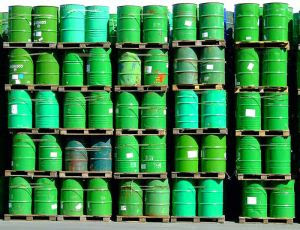 Total U.S. inventories fell by 2.8 million barrels in the week ended July 30 after a reduction in the U.S. Gulf Coast region offset the builds in the center of the country and in the West Coast. 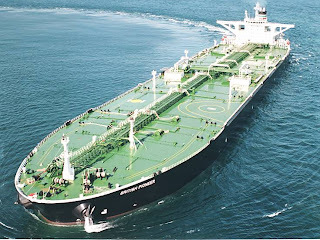 The Organization of Petroleum Exporting Countries will reduce shipments this month as refineries close for maintenance, according to tanker-tracker Oil Movements. The 12-member group, which pumps 40 percent of the world’s crude, will ship 23.33 million barrels a day in the four weeks to Aug. 21, down 1.8 percent from 23.75 million barrels a day in the month ended July 24, the Halifax, England-based consultant said yesterday. The data exclude Ecuador and Angola. The U.S. reduced its forecast for this year’s Atlantic hurricane period to 14 to 20 named storms, down from 14 to 23, because of less activity than expected in the first two months of the season. Tropical Storm Colin strengthened over the Atlantic and may pass to the west of Bermuda within two days, the National Hurricane Center said. Nigeria’s crude-oil output increased 1.5 percent last year, according to state-owned Nigerian National Petroleum Corp.
Production rose to 780 million barrels from 768.7 million barrels a year earlier, the Lagos-based company known as NNPC said in a statement published on its website today. That’s a daily average of 2.14 million barrels compared with 2.1 barrels. The increase in oil output was due to a “more friendly working environment” in the southern Niger River delta oil region, NNPC said. Attacks by armed groups targeting the oil industry cut more than 28 percent of the country’s oil output between 2006 and 2009, according to data compiled by Bloomberg. The attacks decreased after thousands of militants campaigning for more local control of the delta’s energy resources accepted a government amnesty and disarmed. Natural-gas production fell 19 percent from a year earlier to 1.84 billion standard cubic feet a day, NNPC said, without giving a reason for the decline. 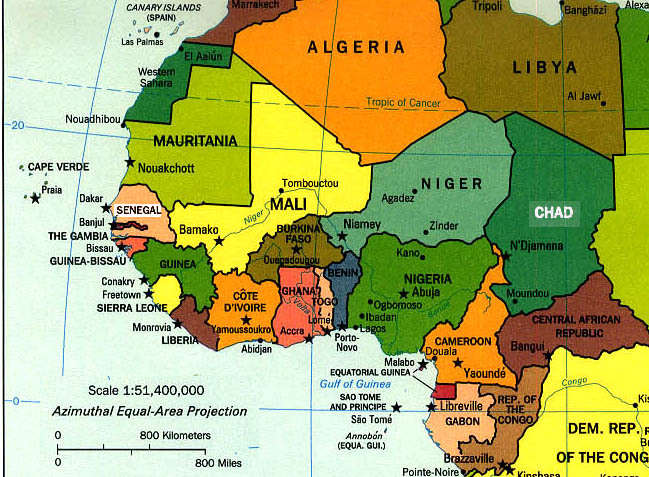 Nigeria is Africa’s largest oil producer and the fifth- biggest source of U.S. oil imports. Royal Dutch Shell Plc, Exxon Mobil Corp., Chevron Corp., Total SA and Eni SpA run joint ventures with NNPC that pump most of the country’s crude. The gusher has finally been beaten back, and from 400 miles up government satellites assure that the oil in the Gulf of Mexico is disappearing. But Dave Marino only wishes he could put that kind of distance between himself and the Deepwater Horizon spill. As northern breezes drove tides lower in the last few days, temperatures well into the 90s seemed to reliquify the sludge lodged in marshes near Marino's home of Myrtle Grove, La., releasing a steady, black drip from the high grasses. Walking on the beach at Isle Grand Terre, Marino looked back to see oil oozing from his footprints in the sand. "There's still oil out here," says Marino, a firefighter who runs a charter fishing boat on the side. "It's all over the place. Not much has changed." But with BP cautiously declaring its "static kill" a success in plugging the once-runaway well, and the Obama administration's claims that crews and nature had taken care of all but a quarter of the estimated 207 million gallons of crude that have poured from the blowout, Marino and others can already feel the nation's gaze turning away. President Barack Obama and BP have pledged to stay the course until all the oil is cleaned up, all "legitimate claims" are paid and those hurt are made whole. Still, as Gulf Coast residents pause to think about what they've been through and try to look forward, they can't help but glance over their shoulders. After Hurricane Katrina in 2005, the country's attention was focused on the region like a laser beam. For the first time in decades, it seemed that the rest of America finally understood that the slow death of the nation's largest network of coastal wetlands — a death blamed, in large part, on ditches and canals dug by the oil and gas industry — was a threat to them and therefore, something they should care about. "We all said that that was a game-changer — that things were going to be done differently," says Casey DeMoss Roberts, assistant director of water resources for the Gulf Restoration Network, an environmental advocacy group. "All the disparate interests were going to get together, work together and come up with a single plan." But the zeal for restoration ran headlong into the great recession. And as the death tolls mounted in Iraq and Afghanistan, banks collapsed and the auto industry teetered on the brink of disaster, people's attention and efforts turned elsewhere, she says. "And THEN we have the BP disaster," says Roberts. "And again people are saying, `OK. Now THIS is the game-changer. We're going to get it right with the coast this time.'" And yet doubts and uncertainties are everywhere. So much has happened since April 20, when 11 men died in the explosion that sank the Deepwater Horizon 50 miles offshore. All along the coast, residents still reeling from closed fisheries, empty restaurant seats and vacant hotel rooms wonder what, if anything, we've learned from it all. And they worry — that the nation will forget them, that the depths of the Gulf may hide far greater damage than BP admits, that a region long admired for its resilience may this time have been pushed beyond repair. "Katrina wiped out half the parish I grew up in," says Kerry St. Pe', director of the Barataria-Terrebone National Estuary Program, whose family has lived along south Louisiana's bayous since 1760. "You can't keep hammering the way people make their livings and how people live and still maintain this culture because people will eventually just give up." Besides those directly harmed, the nation and world got swept up in the spill crisis. Americans acquired a whole new lexicon — "top hats" and "top kills," "containment domes" and "junk shots" — as they watched on fuzzy screens while an ever-growing school of remote-controlled submarines attempted to staunch the well, and came to the realization that the oil industry was not prepared to deal with a blowout a mile beneath the sea. "It's like if NASA had pushed the technology envelope as far as they could to get into space, and then didn't do any kind of funding or study on how to get back," says Roberts. BP CEO Tony Hayward, who couldn't seem to keep his foot out of his mouth, lost his job. The federal Minerals Management Service, the dubious watchdog agency that was supposed to be making sure BP and its contractors acted responsibly, was replaced by the ponderously named Bureau of Ocean Energy Management, Regulation and Enforcement. Congressional hearings brought calls for action. A federal moratorium on deepwater drilling was imposed, challenged, blocked by the courts, then reimposed. Governors of states injured by the spill — Louisiana's Bobby Jindal chief among them — found themselves in the odd position of defending the offending industry. John Hofmeister, former president of Shell Oil Co. who now leads a group called Citizens for Responsible Energy, admits that the industry was caught flat-footed. When the oil was spreading across the Gulf and washing up in marshlands, "that's where the oil spill response really needs to be at its peak, and we failed. We didn't have the capacity. That's a lesson learned, and the industry has responded." Four companies — Exxon Mobil Corp., Royal Dutch Shell Plc, Chevron Corp. and ConocoPhilips — have pledged $1 billion to research and develop a response to future deep-water oil spills in the Gulf. No amount of Dawn dish soap can wash away the images of pelicans and other Gulf creatures, oil-drenched and dying. Yet, the clearing waters and relatively low numbers of blackened carcasses seem to bolster the industry's contention that the environment is far more resilient than many others first thought. BP's Hayward was much maligned when he asserted at one point that "the environmental impact of this disaster is likely to be very, very modest." But this week, even White House spokesman Robert Gibbs could tell reporters: "I think it is fairly safe to say that because of the environmental effects of Mother Nature, the warm waters of the Gulf and the federal response, that many of the doomsday scenarios that were talked about and repeated a lot have not and will not come to fruition because of that." 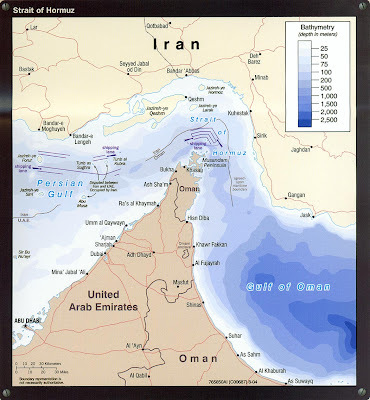 Fears that the oil would enter the Gulf's "loop current" and follow it up the Atlantic coast did not become reality. Nonetheless, the spill's psychic taint spread far and wide. As one example, it reached North Carolina, where a political ad by a conservation group portrayed an oil-covered U.S. Sen. Richard Burr being pulled from the water and scrubbed by volunteers in yellow hazardous-waste suits. "Until he supports clean energy climate legislation," an announcer says, "I don't think we can save him." Many have called the spill "Obama's Katrina," and it is unclear what impact the disaster will have on his prospects for a second term. Pundits debate what will happen to oil-industry reform efforts if the spill contributes to a change of guard on Capitol Hill and in the White House. For those who live day to day, season to season, along the Gulf Coast, though, thoughts are not about an election cycle down the road but on the precariousness of livelihoods and a way of life down here. "We're scared," fisherman Joey Yerkes, 43, said at a meeting Tuesday night in Destin, Fla., with Vessels of Opportunity participants, a BP program that pays boat operators knocked out of work by the spill to assist with response activities. Yerkes laughed when government and BP representatives at the gathering suggested oil from the Deepwater Horizon well was leaving just a "minimal impact" on the Gulf waters and Panhandle beaches and bays. He and the other 100 or so fishermen and charter boat captains continue to find oil and tar balls in areas that have been declared clear. They know scientists have warned that clouds of oil, chemical dispersants and dissolved natural gas are hovering beneath the water's surface, threatening a second wave of destruction. "The end to the leak is good news, but the damage has been done," Yerkes says. "I believe they've destroyed our fish stocks, they've destroyed my living and I'm not sure the water is safe to be in." And there's another worry that you hear often throughout the region: Will we be forgotten now that the oil's no longer spewing? "We're happy that it's capped. We're excited to be part of the cleanup efforts to get our lives back to normal. Those are the things we do know," says Kevin Buckle, a 47-year-old Gulf Coast native who works in sales and marketing at Ship Island Excursions in Gulfport, Miss. "What we don't know is how long oil on the bottom of the Gulf will be washing up and what the long term effects of the dispersant will be... The other thing we don't know is what BP is going to do..."
People are just uneasy having to rely on the perpetrator to "make this right." "I'm dependent on them doing the right thing," says Baytowne Watersports owner Barry Denman, who says rentals of jet skis, pontoons and other craft at his Destin, Fla., business are way down and still dropping. "They can just be like the IRS and ask for more and more documents and wear you down. I'm trying to do everything they ask for, but nowhere in my mind is that going to be enough." Folks don't want BP to go — and yet they are totally fed up with the spill, the cleanup, the disruption of everything familiar. In ways the axed BP CEO failed to articulate, they want their lives back. "I had a run-in with one of the Coast Guard. He said this is my water out here. I said, no, you're wrong. This is my water. You're just a visitor... We've been here all our lives," says Wayne Eldridge, whose construction company in Bayou La Batre, Ala., has been working on oil spill response. "You got guys in hazmat suits walking down the beach. It's not ... fun having your wife and daughter lying out in bikinis. It just doesn't go together, you know?" says Alabama real estate agent and developer Howard Yeager. Although he has a hard time trusting anyone linked to the spill, he is counting on the government to make the rig's owners and operators fulfill their promises of restoring the Gulf. "I don't see BP packing up and leaving. I don't think they could do that without the government seizing assets and trying to pay bills for them, taking drastic action," Yeager says. Mary Scarcliff's thinking kind of goes the other way. The owner of Lighthouse Bakery at Dauphin Island, Ala., who has a BP contract to feed National Guard members working on the coast, trusts BP to do the right thing since the company already is making claims payments. But she is worried about the federal government and general public forgetting what happened once news coverage of the spill decreases. "If you're not living with it you forget. To the north of us, once the media takes it out of people's faces, they tend to forget," she said. In fact, attention to the spill story on the evening newcasts of ABC, CBS and NBC dropped after the oil stopped spewing — from a combined 83 minutes for the week ending July 16 to just 49 minutes two weeks later. Even so, "the cameras aren't going away from this disaster," anchor Brian Williams says in one of the promos NBC "Nightly News" has run pledging not to forget the people of the Gulf coast. One of those with a pending claim is Randy "T-Ran" Borne. This was going to be the year he finally got out from under. At 30, the Golden Meadow, La., man had overcome a drug habit, gotten custody of his three daughters and begun building his life. What started as a 4-by-8-foot plywood shed in his yard had grown into a retail business with a walk-in cooler from which Borne sold the shrimp, crabs and minnows he caught on his 3,900-acre bayou lease and Catfish Lake behind it. "I made my name last year, and BP came in and took it from me this year," the tattooed Borne says in a heavy Cajun accent. "People knew I sold the best; they knew what they'd get here. Now they don't stop, or if they do they say they're scared there is oil in the crabs." Borne had dreams of making $100,000 this year. Now, he's waiting on a BP claim and wondering if it will be enough. "If they give me a good chunk of money, I've got to take it," he says. "But what if that oil that's sunk down in the Gulf keeps killing things? What happens if there's no shrimp next year. Where's BP then?" "That's the only way to pay our bills." Landry plans to donate half the proceeds of his recording to organizations working to restore the Gulf. He'd like to see locals with cameras and monitoring equipment out there checking on things, because he just doesn't trust the government or BP. "This is just going to be something everybody forgets about. But I'm telling you. People down here ain't gonna let them forget about it. And they're not going to let them just walk on this. It's not going to happen." AP Writers Jennifer N. Kay in Destin, Fla.; Holbrook Mohr in Jackson, Miss. ; Mary Foster in Golden Meadow, La. ; Jay Reeves in Dauphin Island, Ala., and TV writer David Bauder in New York also contributed to this report. NEW ORLEANS – In the end, it was a crush of mud that finally plugged the blown-out well in the Gulf of Mexico, three months after the offshore drilling rig explosion that unleashed a gusher of oil and a summer of misery along the Gulf Coast. The government stopped just short of pronouncing the well dead, cautioning that cement and mud must still be pumped in from the bottom to seal it off for good. 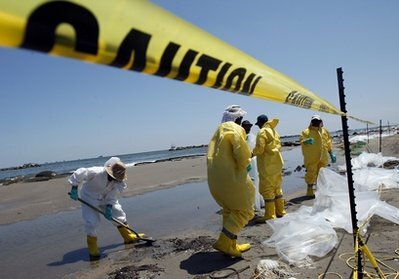 President Barack Obama declared that the battle to contain one of the world's worst oil spills is "finally close to coming to an end." BP PLC said 2,300 barrels of mud forced down the well overnight had pushed the crude back down to its source for the first time since the Deepwater Horizon rig exploded off Louisiana on April 20, killing 11 workers and sending tar balls washing onto beaches and oil oozing into delicate coastal marshes. And there was more seemingly good news: A National Oceanic and Atmospheric Administration report released Wednesday claimed that only about 30 percent of the spilled oil remains in the Gulf and is degrading quickly. The rest has been contained or cleaned up or otherwise disappeared, and the report also said the oil no longer poses a threat to the Florida Keys or the East Coast. The containment effort — and the cleanup — aren't finished either. Crews that forced in the mud for the "static kill" now must decide whether to follow up by pumping cement down the broken wellhead. Federal officials said they won't declare complete victory until they pump in mud and cement from the bottom to seal the well, a procedure that might not be done for weeks. "I'm wondering, as smart as the people in the U.S. government are, they couldn't have done this sooner?" asked 78-year-old Willie Jones, a retiree from Baton Rouge, La., who sat in the shade in Pensacola Beach, Fla., while his wife and granddaughter ventured onto the white — and oil free — sand. But the static kill — also known as bullheading — probably would not have worked without the cap in place. It involved slowly pumping the mud from a ship down lines running to the top of the ruptured well a mile below, and a similar effort failed in May when the mud couldn't overcome the flow of oil. Workers stopped pumping mud in after about eight hours of static kill work and were monitoring the well to ensure it remained stable, BP said. Everything appeared to be going well Wednesday afternoon. Lush reported from St. Petersburg, Fla. Associated Press writers Jennifer Kay in Pensacola Beach, Fla., Mary Foster in Grand Isle, Melinda Deslatte in Baton Rouge, Harry R. Weber on the Gulf of Mexico, Jason Dearen in Yscloskey, La., Annie Greenberg in Miami, and Jay Reeves in Birmingham, Ala., contributed to this report. (Bloomberg) -- Petroleos de Venezuela SA said 2009 profit fell 53 percent after oil prices plunged and the state crude producer slashed output to meet OPEC quotas. Net income fell to $4.39 billion, from $9.49 billion in 2008, the company said today in a statement published in Caracas-based newspaper Ultimas Noticias. Revenue fell 40 percent to $75 billion. Venezuela, a founding member of the Organization for Petroleum Exporting Countries, cut production by more than 300,000 barrels a day last year as part of plans by OPEC to bolster oil prices. Crude futures in New York averaged 38 percent less last year than in 2008. “We need to present these numbers to the world to show the strength of our company and the strength of our financial situation despite 2009 being a very difficult year,” PDVSA President Rafael Ramirez said today during a press conference at the company’s headquarters in Caracas. Crude exports fell 7.4 percent to 2.68 million barrels a day last year, while output dropped 8 percent to 3.01 million barrels, said PDVSA. Total debt surged 38 percent to $18.5 billion. PDVSA’s debt is “manageable” and the company can take on additional debt to fund development projects, Victor Aular, PDVSA’s finance director, said at the conference. 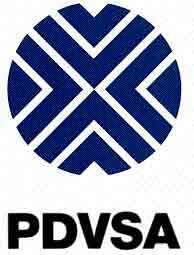 PDVSA, the fourth-largest oil company in the world, increased borrowing last year to pay debts to service suppliers. Debt to suppliers fell to $7 billion at the end of 2009 from $7.5 billion a year earlier. PDVSA currently owes suppliers $3.4 billion, Ramirez said today. Baker Hughes Inc., a Houston, Texas-based oil services and drilling company, said today that the payment situation in Venezuela hasn’t improved. “Not much has changed in Venezuela, which remains difficult because of the payment issues,” Baker Hughes Chief Executive Officer Martin S. Craighead said today on a conference call. The company also increased its workforce by 9,812 and took on new assets as part of President Hugo Chavez’s drive to nationalize the energy sector. Chavez seized assets of more than 70 services companies that managed maritime transport and oil, gas and water injection into wells to boost output, including Williams Cos. and Exterran Holdings Inc. The participation of private companies in Venezuela’s oil industry has dropped to 48 percent from 85 percent in 2004, Ramirez said today. Disagreements with service providers over operating costs led to the nationalization of 11 drilling rigs owned by Tulsa, Oklahoma-based Helmerich & Payne Inc. earlier this year. PDVSA, the source of almost all U.S. dollars in the Venezuelan economy, slashed contributions to the off-budget development fund, known as Fonden. The Caracas-based company transferred $577 million to Fonden in 2009, down from the $12.4 billion in 2008. Contributions to Chavez’s social programs rose to $2.9 billion last year from $2.3 billion a year earlier. PDVSA is in the process of certifying crude deposits in the Orinoco Belt, which may make Venezuela owner of the world’s largest oil reserves ahead of Saudi Arabia. The company is seeking to make foreign oil companies minority partners to help develop untapped heavy crude reserves and boost waning output. Companies including Chevron Corp., Repsol YPF SA, Gazprom OAO and Eni SpA are expected to help boost production by about 2 million barrels a day by 2015. The projects will probably require investments of about $80 billion from foreign companies and PDVSA, Ramirez said earlier this year. The company has transferred $10 billion in royalties from oil producing projects to the government in the first half of 2010, after transferring $14 billion during all of 2009, Ramirez said today. “The situation in 2009 was truly complicated but now we can say with confidence that oil prices are rising and the situation is manageable,” Ramirez said. Crude oil for September delivery climbed 87 cents, or 1.1 percent, to $82.21 a barrel at 12:15 p.m. on the New York Mercantile Exchange. Futures touched $82.59, the highest level since May 5. --With assistance from Charlie Devereux in Sao Paulo and Mark Shenk in New York. Editors: Carlos Caminada, Robin Saponar. WASHINGTON (AFP) – The US government on Monday said BP's ruptured well in the Gulf of Mexico gushed an estimated 4.9 million barrels of oil, making it the largest accidental oil spill of all time. "Overall, the scientific teams estimate that approximately 4.9 million barrels of oil have been released from the well," the joint response command that includes BP and the US government said in a statement describing the new estimate. "Not all of this oil and gas flowed into the ocean; containment activities conducted by BP under US direction captured approximately 800,000 barrels of oil prior to the capping of the well," they said. The 4.9 million barrels is at the upper end of an earlier official estimate, which said that between 3.0 million and 5.3 million barrels had spewed from the well between April 20, when the BP-leased Deepwater Horizon rig exploded, and July 15, when a cap placed over the wellhead was finally sealed. The refined estimates "are the most accurate to date and have an uncertainty of plus or minus 10 percent," according to the statement. The 4.1 million uncontained barrels estimated to have spewed into the water make the spill the biggest accidental oil disaster in the history of the petroleum industry, and second only to the intentional release of crude by Iraqi forces during the 1991 Gulf War. The previous largest accidental spill was a 1979 disaster -- also in the Gulf of Mexico -- in which 3.3 million barrels gushed from the Ixtoc-1 well after an explosion on a rig operated by Mexican state oil company Pemex. The BP spill revision was based on "new pressure readings, data and analysis" of oil reservoir modeling studied by teams comprised of federal and independent US scientists, including a Department of Energy team of scientists led by President Barack Obama's energy secretary, Steven Chu, the statement said. "The revised estimates are part of this administration's ongoing commitment to ensuring that we have the most accurate information possible," Chu said. When the well first ruptured, "62,000 barrels of oil per day were leaking from the well," beyond the 35,000 to 60,000 barrels most recently estimated by US authorities, but the flow rate decreased to 53,000 barrels per day just before the well was capped, the statement said. "As a result of depletion of the hydrocarbon reservoir, the daily flow rate decreased over the 87 days prior to the well's closure," according to the statement. The new figures are based in part on analysis of high-resolution videos taken by remotely operated underwater vehicles, acoustic technologies, measurements of oil collected by vessels on the surface, and readings of pressure measurements inside the containment cap. "Government scientists will continue to analyze data and may in time be able to further refine this estimate," the statement said. ABUJA (Reuters) - Royal Dutch Shell has offered to sell five oil leases in Nigeria's Niger Delta to domestic energy companies, according to a local newspaper. 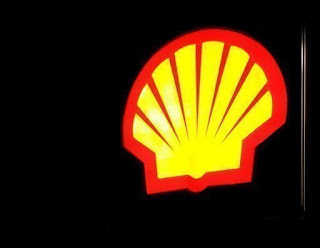 Shell is in talks with several Nigerian oil companies, including Midwestern Oil & Gas, Niger Delta Petroleum Resources, and Setplat Petroleum, for the sale of oil leases 26, 30, 34, 40 and 42 in the Niger Delta, according to a report in ThisDay newspaper on Thursday, quoting unidentified sources. The leases, some of which contain reserves of up to 2 billion barrels, are valued at between $150 million and $2 billion, according to ThisDay. A deal could be completed within weeks, the newspaper said. A Shell spokesman in Nigeria declined to comment, saying the company does not respond to speculative reports. Shell has said it is open to selling more of its assets in Nigeria's Niger Delta, where its oil and gas production has been hit by years of militant attacks. Any sale would need to be approved by state oil firm NNPC, which is the majority shareholder of the oil blocks, however. "It is premature for Shell to talk about any asset sales without consulting and getting approval from the Nigerian government and NNPC. Let the buyer beware," an NNPC spokesman said. Nigeria has yet to approve a previous Shell sale of three Nigerian oil licenses to a consortium consisting of two local firms and France's Maurel & Prom. Shell in January agreed to sell oil mining leases 4, 38 and 41 located in the northwestern part of the Niger Delta. The leases include 30 wells with a production capacity of around 50,000 barrels of oil equivalent per day. oil on Monday helping underpin values in a tight market. for September, particularly of Angolan crude. differentials for light Nigerian crude oil. reported deal was at dated Brent plus $1.90, traders said. West African crude oil trader with an Asian-owned house. left to sell, a Kuito for loading Sept. 28-29.
dated Brent minus 20 cents. a planned expansion of one of its refineries in northern India.